Futurist and author Amy Webb talks about her book, The Big Nine, with EconTalk host Russ Roberts. Webb observes that artificial intelligence is currently evolving in a handful of companies in the United States and China. She worries that innovation in the United States may lead to social changes that we may not ultimately like; in China, innovation may end up serving the geopolitical goals of the Chinese government with some uncomfortable foreign policy implications. Webb's book is a reminder that artificial intelligence does not evolve in a vacuum--research and progress takes place in an institutional context. This is a wide-ranging conversation about the implications and possible futures of a world where artificial intelligence is increasingly part of our lives. Jacob Vigdor of the University of Washington talks with EconTalk host Russ Roberts about the impact of Seattle's minimum wage increases in recent years. Vigdor along with others from the Evans School of Public Policy and Governance have tried to measure the change in employment, hours worked, and wages for low-skilled workers in Seattle. He summarizes those results here arguing that while some workers earned higher wages, some or all of the gains were offset by reductions in hours worked and a reduction in the rate of job creation especially for low-skilled workers. Catherine Semcer of the Property and Environment Research Center (PERC) talks with EconTalk host Russ Roberts about the role of incentives in preserving wildlife in Africa. The conversation discusses how allowing limited hunting of big game such as elephants and using revenue from hunting licenses to reward local communities for habitat stewardship has improved both habitat and wildlife populations while reducing poaching. Semcer draws on her experience as former Chief Operating Officer of Humanitarian Operations Protecting Elephants and also discusses recent efforts to re-locate lions in Mozambique. Author and psychotherapist Gary Greenberg talks with EconTalk host Russ Roberts about the placebo effect. Is it real? How does the placebo effect influence drug testing? If it's real, what is the underlying mechanism of why it works and how might it be harnessed to improve health care? The conversation concludes with a discussion of how knowledge of the placebo effect has influenced Greenberg's psychotherapy practice. Patrick Collison, co-founder and CEO of Stripe, talks with EconTalk host Russ Roberts about the pace of innovation. Collison argues that despite enormous increases in the numbers of scientists and researchers, the pace of progress in scientific and technological understanding does not seem to be increasing accordingly. The conversation looks at the challenge of measuring innovation and whether the pace of innovation should be a matter of concern and if so, what might be done about it. Economist Jennifer Doleac of Texas A&M University talks with EconTalk host Russ Roberts about her research on crime, police, and the unexpected consequences of the criminal justice system. Topics discussed include legislation banning asking job applicants if they've been in prison, body cameras for police, the use of DNA databases, the use of Naloxone to prevent death from opioid overdose, and the challenges of being an economist who thinks about crime using the economist's toolkit. Journalist and author Sebastian Junger talks about his book Tribe with EconTalk host Russ Roberts. Junger explores the human need to be needed and the challenges facing many individuals in modern society who struggle to connect with others. His studies of communal connection include soldiers in a small combat unit and American Indian society in the nineteenth century. Economist and author Mariana Mazzucato talks about her book The Value of Everything with EconTalk host Russ Roberts. Mazzucato argues that economists have mismeasured value and have failed to appreciate the role of government as innovator. She argues for a more active role for government in the innovation process and for government to share in revenue proportional to its role in the creation of new technology. Science journalist and author John Horgan talks about his book, Mind-Body Problems, with EconTalk host Russ Roberts. Horgan interviewed an array of scientists, philosophers, and others who have worked on consciousness, free-will, and what it means to be human. Horgan argues that no single solution to the problems in these areas is likely to be established by science and that our perspective on these questions is inevitably colored by our personal experiences rather than by scientific evidence. Horgan concludes by making the case for personal and intellectual freedom and the need to embrace subjective interpretations of mind-body issues in ways that bring meaning to our lives. Peter Berkowitz of Stanford University's Hoover Institution talks with EconTalk host Russ Roberts about the origins of liberalism and the importance of John Locke. Berkowitz defends the liberal project of individual rights and liberty and argues that critics of Locke mischaracterize his thought. The conversation closes with an evaluation of the Enlightenment. Journalist and author A. J. Jacobs talks about his book, Thanks a Thousand, with EconTalk host Russ Roberts. Jacobs thanked a thousand different people who contributed to his morning cup of coffee. In this conversation, Jacobs talks about the power of gratitude and different ways we can express gratitude in everyday life. He and Roberts also explore the unintended web of cooperation that underlies almost every product we encounter in a modern economy. Economist and author Michael Munger of Duke University talks about his book, Tomorrow 3.0, with EconTalk host Russ Roberts. Munger analyzes the rise of companies like Uber and AirBnB as an example of how technology lowers transactions costs. Users and providers can find each other more easily through their smartphones, increasing opportunity. Munger expects these costs to fall elsewhere and predicts an expansion of the sharing economy to a wide array of items in our daily lives. Economist and author Ran Abramitzky of Stanford University talks about his book, The Mystery of the Kibbutz, with EconTalk host Russ Roberts. Abramitzky traces the evolution of the kibbutz movement in Israel and how the kibbutz structure changed to cope with the modernization and development of the Israeli economy. The conversation includes a discussion of how the history of the kibbutz might help us to understand the appeal and challenges of the socialism and freedom. Russian Literature Professor Kevin McKenna of the University of Vermont talks with EconTalk host Russ Roberts about the characters, plot, and themes of Aleksandr Solzhenitsyn's masterpiece, In the First Circle. This is the second episode of the EconTalk book club discussing the book. The first episode--a discussion of Solzhenitsyn's life and times--is available on EconTalk. Neil Monnery, author of Architect of Prosperity, talks with EconTalk host Russ Roberts about his book--a biography of John Cowperthwaite, the man often credited with the economic success of Hong Kong. Monnery describes the policies that Cowperthwaite championed and the role they played in the evolution of Hong Kong's economy. How much those policies mattered is the focus of the conversation. Other topics include the relationship between Hong Kong and China and the irony of the challenges Hong Kong faced from U.S. and British protectionism. Rodney Brooks, emeritus professor of robotics at MIT, talks with EconTalk host Russ Roberts about the future of robots and artificial intelligence. Brooks argues that we both under-appreciate and over-appreciate the impact of innovation. He applies this insight to the current state of driverless cars and other changes people are expecting to change our daily lives in radical ways. He also suggests that the challenges of developing truly intelligent robots and technologies will take much longer than people expect, giving human beings time to adapt to the effects. Plus a cameo from Isaac Newton. Yoram Hazony discusses his book, The Virtue of Nationalism, with EconTalk host Russ Roberts. Hazony argues that nationalism, for all its flaws, is a better system than a global system of governance. He argues that while the competition between nationalist states can lead to violence, the opportunity for each nation to pursue its own policies creates the benefits that trial-and-error innovation create in the marketplace. He also points out the dangers of global government systems and argues that U.S. military dominance and various international institutions such as European Union and the International Criminal Court have been growing in power. Psychologist Charlan Nemeth of the University of California, Berkeley and author of In Defense of Troublemakers talks with EconTalk host Russ Roberts about the ideas in the book--the power of groupthink, the power of conviction, and the opportunity for an authentic, persistent dissenter to have an impact on a group's decision. The conversation concludes with a discussion of the challenges of doing careful research in modern times. Physician David Meltzer of the University of Chicago talks about the power of the doctor-patient relationship with EconTalk host Russ Roberts. Meltzer, who also has a Ph.D. in economics, discusses a controlled experiment he has been running to measure the importance of maintaining the continuity of doctor-patient relationships. Meltzer argues that the increasing use of hospitalists--specialists who take over a patient from the patient's regular doctor once the patient is hospitalized--has raised costs and hurt patients. The initial results from his study show that patients who stay with their doctors have fewer subsequent hospitalizations and have better mental health. The conversation closes with a discussion of the challenges facing the current medical system to adopt cost-saving or life-improving technology or techniques. Historian Frank Dikotter of the University of Hong Kong and author of Mao's Great Famine talks about the book with EconTalk host Russ Roberts. Dikotter chronicles the strategies Mao and Chinese leadership implemented to increase grain and steel production in the late 1950s leading to a collapse in agricultural output and the deaths of millions by starvation. EconTalk host Russ Roberts does a monologue on how political discourse seems to have deteriorated in recent years and the growth in outrage, tribalism, and intolerance for those with different views from one's own. Roberts suggests that part of the problem is the revolution of the market for information caused by the internet that allows people to customize what they see to fit their own political narratives and worldview. In short, the market for news works to make us feel good rather than to help us to discover the truth. The monologue closes with some suggestions for how we might improve the way we consume information and interact with those we disagree with. Political Scientist and author Patrick Deneen of the University of Notre Dame talks about his book Why Liberalism Failed with EconTalk host Russ Roberts. By liberalism, Deneen means the modern enterprise--the push for self-actualization free of the constraints of tradition, family, and religion that typifies modern culture. He argues that both the left and the right have empowered the state and reduced liberty. He argues for a smaller, more local, more artisanal economy and a return to the virtues of self-control and self-mastery. Economist and author Arnold Kling talks about the economic impact of culture and morality with EconTalk host Russ Roberts. Drawing on a recent essay on the importance of social interactions, Kling explores the role of culture and norms and their broad impact on economic life. At the end of the conversation, Roberts discusses the implications of human sociality for the way economics is taught and the way economists think about public policy. Journalist and author Michael Pollan talks about his book, How to Change Your Mind, with EconTalk host Russ Roberts. Pollan chronicles the history of the use of psychedelic drugs, particularly LSD and psilocybin, to treat addiction, depression and anxiety. He discusses his own experiences with the drugs as well. Much of the conversation focuses on what we might learn from psychedelic drugs about their apparent spiritual dimension, the nature of consciousness, and the nature of the mind. Richard Reinsch, editor of Law and Liberty and the host of the podcast Liberty Law Talk, talks with EconTalk host Russ Roberts about the Enlightenment. Topics discussed include the search for meaning, the stability of liberalism, the rise of populism, and Solzhenitsyn's indictment of Western values from his Harvard Commencement Address of 1978. Journalist and author Moises Velasquez-Manoff talks about the role of dirt in fighting climate change with EconTalk host Russ Roberts. Velasquez-Manoff explains how changes in farming can allow dirt and plants to absorb carbon and potentially reduce climate change. At the end of the conversation he discusses the state of the science on hygiene, parasites, and auto-immune disorders that he discussed in his previous appearance on EconTalk in 2014. Psychiatrist and author Iain McGilchrist talks about his book, The Master and His Emissary, with EconTalk host Russ Roberts. McGilchrist argues we have misunderstand the purpose and effect of the divided brain. The left side is focused, concrete, and confident while the right side is about integration of ourselves with the complexity of the world around us. McGilchrist uses this distinction to analyze the history of western civilization. This is a wide-ranging conversation that includes discussions of poetry, philosophy, and economics. Economist Glen Weyl of Microsoft Research New England and Visiting Senior Research Scholar at Yale University talks with EconTalk host Russ Roberts about his book (co-authored with Eric Posner) Radical Markets. Weyl urges a radical transformation of land and housing markets using a new federal real estate tax based on self-assessment. Owners would be required to sell their houses at the self-assessed price. Weyl argues this would eliminate the market power home owners have in the re-sale market and the revenue tax would could be used to reduce inequality. In the last part of the conversation, Weyl proposes an overhaul of U.S. immigration policy by having residents sponsor immigrants for a fee. Peter Boettke of George Mason University talks with EconTalk host Russ Roberts about the proper role of the state in the economy. This is a wide-ranging conversation on political economy. Topics include Adam Smith's view of the state, the tension between the state as enabler of real vs. crony capitalism, the potential for the poor to flourish in a market economy, and the challenges of democracy. How did the CEO of a real estate development company become chairman of an airline? How can a competent manager learn to trust his subordinates? Joel Peterson, chairman of the Board at JetBlue Airways and author of The 10 Laws of Trust, talks with EconTalk host Russ Roberts about his career at Trammell Crow and JetBlue and how the concept of trust, outlined in his book, has helped his career. He closes the conversation with a discussion of how he overcame his personal weaknesses that would have handicapped his career--or as he puts it, how he "rewrote his operating system." Jonah Goldberg of National Review talks about his latest book, Suicide of the West, with EconTalk host Russ Roberts. Goldberg argues that both capitalism and democracy are at risk in the current contentious political environment. He argues that we take for granted what he calls "the miracle"--the transformation of the standard of living in the democracies with market economies. Goldberg argues that unless we actively work to preserve our political and economic systems, the forces of populism, nationalism, and tribalism will work steadily to destroy them. Can a life-saving drug be too expensive? What explains the high price of cancer drugs? Dr. Vincent Rajkumar of the Mayo Clinic talks with EconTalk host Russ Roberts about the high price of cancer drugs--drugs that can cost an American with cancer $300,000 per year and require multiple years of treatment. Rajkumar explains how little a role market forces play in setting prices and what might be done to improve the situation. Does rush-hour traffic drive you crazy? Is a congestion tax on car travel a good idea? Michael Munger of Duke University talks with EconTalk host Russ Roberts about the economics of traffic and congestion taxes. It takes a while to get there (how appropriate!) but they eventually agree that a tax on congestion while reducing travel time is harmful to many drivers and may be best thought of as any tax placed on a particular good--a way to raise government revenue from the pockets of the consumers of that good. Economists often oppose the expansion of licensing in America in recent years because it makes it harder for people with low skills to get access to opportunity. Sociologist Beth Redbird of Northwestern University talks with EconTalk host Russ Roberts about a different perspective. Redbird finds that licensing expands opportunity for women and minorities and has little impact on wages. She argues that licensing helps historically disadvantaged groups discover ways into various careers they otherwise would have trouble accessing. The discussion closes with a discussion of Redbird's work on the economic situation of Native Americans. Economist, blogger, and author Arnold Kling talks with EconTalk host Russ Roberts about the state of economics in the 21st century. Kling argues that economics would be more useful if it took account of intangibles like culture, incorporated the role of financial intermediation in the economy, and modeled some of the the subtleties of the labor market--how wages are set and the role of team production. Philosopher Elizabeth Anderson of the University of Michigan and author of Private Government talks about her book with EconTalk host Russ Roberts. Anderson argues that employers have excessive power over employees that we would never accept from government authority. Topics discussed include the role of competition in potentially mitigating employer control, whether some worker rights should be inviolate, potential measures for empowering employees, and the costs and benefits over time of a relatively unregulated labor market. Bryan Caplan of George Mason University and the author of The Case Against Education talks about the book with EconTalk host Russ Roberts. Caplan argues that very little learning takes place in formal education and that very little of the return to college comes from skills or knowledge that is acquired in the classroom. Schooling, he concludes, as it is currently conducted is mostly a waste of time and money. Caplan bring a great deal of evidence to support his dramatic claim and much of the conversation focuses on the challenge of measuring and observing what students actually learn. Helen Pluckrose and James Lindsay talk with EconTalk host Russ Roberts about their essay on the enemies of modernity. Pluckrose and Lindsay argue that modernity--by which they mean democracy, reason, and individual liberty--is under attack from pre-modern and post-modern ideological enemies. They discuss why modernity is under attack and encourage people on the political left and right to support modernity. Marian Goodell, CEO of the Burning Man Project, talks with EconTalk host Russ Roberts about Burning Man, the 8-day art and music festival in the Nevada Desert. Goodell explains how Burning Man has evolved over the years, the principles and rules that govern the experience today, and plans for expanding the Burning Man experience around the world. John Ioannidis of Stanford University talks with EconTalk host Russ Roberts about his research on the reliability of published research findings. They discuss Ioannidis's recent study on bias in economics research, meta-analysis, the challenge of small sample analysis, and the reliability of statistical significance as a measure of success in empirical research. Baseball stats guru and author Bill James talks with EconTalk host Russ Roberts about the challenges of understanding complexity in baseball and elsewhere. James reflects on the lessons he has learned as a long-time student of data and the role it plays in understanding the underlying reality that exists between different variables in sports and outside of sports. The conversation closes with a discussion of our understanding of social processes and the connection to public policy and the ideologies we hold. Ecologist Kelly Weinersmith and cartoonist Zach Weinersmith--creator of Saturday Morning Breakfast Cereal--talk with EconTalk host Russ Roberts about their new book, Soonish--a look at cutting-edge and not-quite cutting edge technologies. The Weinersmiths speculate about everything from asteroid mining to robotic house construction to the nasal cycle and how the human body and medicine might be transformed in the future. They discuss the likelihood of some really crazy stuff coming along and changing our lives as well as the possible downsides of innovation. Matt Stoller of the Open Market Institute talks with EconTalk host Russ Roberts about the growing influence of Google, Facebook, and Amazon on commercial and political life. Stoller argues that these large firms have too much power over our options as consumers and creators as well as having a large impact on our access to information. Brink Lindsey of the Niskanen Center and Steven Teles of the Niskanen Center and Johns Hopkins University talk with EconTalk host Russ Roberts about their book, The Captured Economy. Lindsey and Teles argue that inequality has been worsened by special interests who steer policy to benefit themselves. They also argue that the influence of the politically powerful has lowered the overall growth of the American economy. John Cogan of Stanford University's Hoover Institution talks with EconTalk host Russ Roberts about Cogan's book, The High Cost of Good Intentions, a history of U.S. entitlement policy. Cogan traces the evolution of government pensions beginning with Revolutionary War vets to the birth and evolution of the Social Security program. Surprises along the way include President Franklin Roosevelt as fiscal conservative and the hard-to-believe but true fact that there is still one person receiving monthly checks from the Civil War veterans pension program. The conversation concludes with Cogan's concerns over the growing costs of financing social security payments to baby boomers. Historian Rachel Laudan talks with EconTalk host Russ Roberts about food waste. Laudan argues that there are tradeoffs in preventing food waste--in reduced time for example, or a reduction in food security, and that these tradeoffs need to be measured carefully when considering policy or giving advice to individuals or organizations. She also discusses the role of food taboos and moralizing about food. Along the way, Laudan defends the virtue of individual choice and freedom in deciding what to eat. Simeon Djankov, creator of the World Bank's Doing Business Report, and Matt Warner, Chief Operating Officer of Atlas Network talk with EconTalk host Russ Roberts about the role regulation plays in economic development and the challenges of measuring regulatory barriers to new business creation. Financial Times columnist and author Tim Harford talks with EconTalk host Russ Roberts about Harford's latest book, Fifty Inventions That Shaped the Modern Economy. Highlights include how elevators are an important form of mass transit, why washing machines didn't save quite as much time as you'd think, and the glorious illuminating aspects of light throughout history. Why does tipping persist? Despite the efforts of some restaurants to stop tipping, it remains a healthy institution and has recently spread to Uber. Political scientist Anthony Gill of the University of Washington talks with EconTalk host Russ Roberts about why tipping persists and what it achieves despite there being no formal way of enforcing this norm. How did the friendship between David Hume and Adam Smith influence their ideas? Why do their ideas still matter today? Political Scientist Dennis Rasmussen of Tufts University and author of The Infidel and the Professor talks with EconTalk host Russ Roberts about his book--the intellectual and personal connections between two of the greatest thinkers of all time, David Hume and Adam Smith. Michael Munger of Duke University talks with EconTalk host Russ Roberts about permissionless innovation. Munger argues that the ability to innovate without permission is the most important concept of political economy. Munger defends this claim and explores the metaphor of emergent order as a dance, a metaphor coming from the German poet Schiller. Jennifer Burns of Stanford University and the Hoover Institution talks with EconTalk host Russ Roberts about her biography of Ayn Rand, Goddess of the Market. They discuss Rand's philosophy, her influence, her relationship with the conservative movement, and the intersection of her personal life with her philosophical principles. Author and journalist Megan McArdle of Bloomberg View talks with EconTalk host Russ Roberts about how the internet has allowed a new kind of shaming via social media and how episodes of bad behavior live on because Google's memory is very, very good. McArdle discusses the implications this new reality has on how we behave at work and how people protect and maintain their reputations in a world where nothing is forgotten and seemingly little is forgiven. Author Tim O'Reilly, founder of O'Reilly Media and long-time observer and commenter on the internet and technology, talks with EconTalk host Russ Roberts about his new book, WTF? What's the Future and Why It's Up to Us. O'Reilly surveys the evolution of the internet, the key companies that have prospered from it, and how the products of those companies have changed our lives. He then turns to the future and explains why he is an optimist and what can be done to make that optimism accurate. Robert Wright, author of Why Buddhism Is True, talks with EconTalk host Russ Roberts about the psychotherapeutic insights of Buddhism and the benefits of meditation and mindfulness. Wright argues our evolutionary past has endowed us with a mind that can be ill-suited to the stress of the present. He argues that meditation and the non-religious aspects of Buddhism can reduce suffering and are consistent with recent psychological research. Author and professor Philip Auerswald of George Mason University talks with EconTalk host Russ Roberts about the rise of populism in the United States and throughout the world. Auerswald argues that the rise of cities and the productivity of urban life has created a divergence in experience and rewards between urban and rural areas around the world. Auerswald ties these changes to changes in voting patterns and speculates about the sources of the increasing productivity of metropolitan areas. Gabriel Zucman of the University of California, Berkeley talks with EconTalk host Russ Roberts about his research on inequality and the distribution of income in the United States over the last 35 years. Zucman finds that there has been no change in income for the bottom half of the income distribution over this time period with large gains going to the top 1%. The conversation explores the robustness of this result to various assumptions and possible explanations for the findings. Is private charity always a good thing? Do large foundations have too much power? Political Scientist Rob Reich of Stanford University talks with EconTalk host Russ Roberts about the power and effectiveness of foundations--large collections of wealth typically created and funded by a wealthy donor. Is such a plutocratic institution consistent with democracy? Reich discusses the history of foundations in the United States and the costs and benefits of foundation expenditures in the present. Benedict Evans of Andreessen Horowitz talks with EconTalk host Russ Roberts about two important trends for the future of personal travel--the increasing number of electric cars and a world of autonomous vehicles. Evans talks about how these two trends are likely to continue and the implications for the economy, urban design, and how we live. How did bad come to mean good? Why is Shakespeare so hard to understand? Is there anything good about "like" and "you know?" 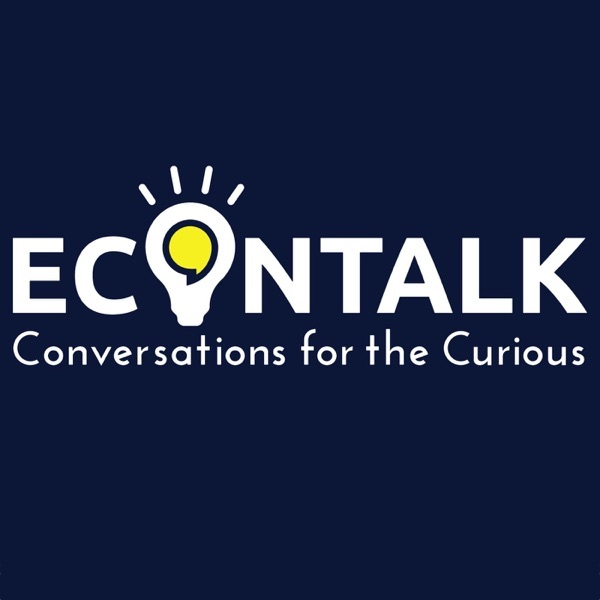 Author and professor John McWhorter of Columbia University talks with EconTalk host Russ Roberts about the unplanned ways that English speakers create English, an example of emergent order. Topics discussed include how words get short (but not too short), the demand for vividness in language, and why Shakespeare is so hard to understand. Nassim Nicholas Taleb talks with EconTalk host Russ Roberts about the manuscript version of his forthcoming book, Skin in the Game. Topics discussed include the role of skin in the game in labor markets, the power of minorities, the Lindy effect, Taleb's blind spots and regrets, and the politics of globalization. Tyler Cowen of George Mason University and the co-host of the blog Marginal Revolution talks with EconTalk host Russ Roberts about Stubborn Attachments, his book-length treatment of how to think about public policy. Cowen argues that economic growth--properly defined--is the moral key to maintaining civilization and promoting human well-being. Along the way, the conversation also deals with inequality, environmental issues, and education. Alex Guarnaschelli, Food Channel star and chef at Butter in midtown Manhattan, talks with EconTalk host Russ Roberts about what it's like to run a restaurant, the challenges of a career in cooking, her favorite dishes, her least favorite dishes, and what she cooked to beat Bobby Flay. Tamar Haspel, who writes "Unearthed," a column on food and agriculture at the Washington Post, talks with EconTalk host Russ Roberts about a wide variety of issues related to the cost of food and how it's produced. Topics discussed include why technology helps make some foods inexpensive, how animals are treated, the health of the honey bee, and whether eggs from your backyard taste any better than eggs at the grocery. Martha Nussbaum, professor of philosophy at the University of Chicago talks with EconTalk host Russ Roberts about Alexander Hamilton. Nussbaum talks about the tension between acquiring power and living a life of virtue. The topics discussed include Hamilton's relationship with Aaron Burr, Burr's complicated historical legacy, and the role of the humanities in our lives. Chris Blattman of the University of Chicago talks with EconTalk host Russ Roberts about whether it's better to give poor Africans cash or chickens and the role of experiments in helping us figure out the answer. Along the way he discusses the importance of growth vs. smaller interventions and the state of development economics. Robin Feldman of the University of California Hastings College of Law and author of Drug Wars talks about her book with EconTalk host Russ Roberts. Feldman explores the various ways that pharmaceutical companies try to reduce competition from generic drugs. The conversation includes a discussion of the Hatch-Waxman Act and the sometimes crazy world of patent protection. Author and historian Thomas Ricks talks with EconTalk host Russ Roberts about his book, Churchill and Orwell. Ricks makes the case that the odd couple of Winston Churchill and George Orwell played and play an important role in preserving individual liberty. Ricks reviews the contributions of these two giants whose lives overlapped and whose legacy remains vibrant. Why is it that people in large cities like Paris or New York City people sleep peacefully, unworried about whether there will be enough bread or other necessities available for purchase the next morning? No one is in charge--no bread czar. No flour czar. And yet it seems to work remarkably well. Don Boudreaux of George Mason University and Michael Munger of Duke University join EconTalk host Russ Roberts to discuss emergent order and markets. The conversation includes a reading of Roberts's poem, "It's a Wonderful Loaf." Historian Christy Ford Chapin of University of Maryland Baltimore County and Johns Hopkins and author of Ensuring America's Health talks with EconTalk host Russ Roberts about her book--a history of how America's health care system came to be dominated by insurance companies or government agencies paying doctors per procedure. Chapin explains how this system emerged from efforts by the American Medical Association to stop various reform efforts over the decades. Chapin argues that different models might have emerged that would lead to a more effective health care system. What is the state of liberty in America? Is liberty increasing or decreasing? Should we be optimistic or pessimistic about the future? This week EconTalk features David Boaz, P.J. O'Rourke, and George Will discussing these questions and more with EconTalk host Russ Roberts in front of a live audience at the Cato Institute. How should we think about growth and poverty? How important is the goal of reducing the proportion of the world's population living on less than a dollar a day? Does poverty persist because people lack skills or because they live in economic systems where skills are not rewarded? What is the role of experimental methods in understanding what reduces poverty? Author and economist Lant Pritchett of Harvard University talks with EconTalk host Russ Roberts about these questions and more in a wide-ranging discussion of how best to help the world's poorest people. Author and legal scholar Cass Sunstein of Harvard University talks with EconTalk host Russ Roberts about his latest book, #Republic. Sunstein argues that the internet has encouraged people to frequent informational echo chambers where their views are reinforced and rarely challenged. In addition, there is a loss of public space where people might have to encounter dissonant ideas or causes they might wish to champion. Sunstein considers this a threat to democracy and discusses a variety of ways the situation might improve. Author and economist Tyler Cowen of George Mason University talks with EconTalk host Russ Roberts about his book, The Complacent Class. Cowen argues that the United States has become complacent and the result is a loss of dynamism in the economy and in American life, generally. Cowen provides a rich mix of data, speculation, and creativity in support of his claims. Elizabeth Pape, founder of the women's clothing company Elizabeth Suzann, talks with EconTalk host Russ Roberts about starting and running her company--a manufacturer and seller of high-end women's clothing in Nashville, Tennessee. The conversation chronicles the ups and downs of her entrepreneurial story, the recent evolution of the women's clothing market, and the challenge of competition from lower quality, lower-priced products. Journalist and author Rana Foroohar of the Financial Times talks with EconTalk host Russ Roberts about her book, Makers and Takers. Foroohar argues that finance has become an increasingly powerful part of the U.S. economy and has handicapped the growth and effectiveness of manufacturing and the rest of the economy. Podcaster and writer Erica Sandberg talks with EconTalk host Russ Roberts about homelessness in San Francisco. Sandberg talks about what the city can do about homelessness and her experience with Downtown Streets Team, which gives homeless people in the Bay Area the chance to work in exchange for gift cards that let them buy food and other basics. Are Americans overtaxed? How does the average American feel about the tax system and tax reform? Vanessa Williamson of the Brookings Institution talks with EconTalk host Russ Roberts about her book, Read My Lips. Williamson shares the results of her survey of American attitudes toward taxation and government spending. People misperceive much about who pays what and the structure of the tax system, particularly the payroll tax. But some of what appears to be errors--about foreign aid and government waste for example, come from the average person's definition of these terms being different from the narrow meaning. Why does the Manhattan skyline look like it does with incredible skyscrapers south of City Hall then almost no tall buildings until midtown? Jason Barr of Rutgers University-Newark and author of Building the Skyline talks with EconTalk host Russ Roberts about the evolution of Manhattan as a place to live and work, and the mix of individual choices and government policy that created the skyline of Manhattan. Statistician, blogger, and author Andrew Gelman of Columbia University talks with EconTalk host Russ Roberts about the challenges facing psychologists and economists when using small samples. On the surface, finding statistically significant results in a small sample would seem to be extremely impressive and would make one even more confident that a larger sample would find even stronger evidence. Yet, larger samples often fail to lead to replication. Gelman discusses how this phenomenon is rooted in the incentives built into human nature and the publication process. The conversation closes with a general discussion of the nature of empirical work in the social sciences. Is capitalism part of the poverty problem facing the world or part of the solution? Are human beings doing a good job preserving the earth for future generations? To improve the world, should we improve capitalism or ourselves? Robert Whaples of Wake Forest University talks with EconTalk host Russ Roberts about "Laudato Si'," Pope Francis's encyclical on capitalism, poverty, and environmental issues. What is the future of the European economy? What are the challenges facing Europe? What are the implications of Brexit for the United Kingdom and the rest of the Europe? Nicholas Crafts of the University of Warwick, Luis Garicano of the London School of Economics, and Luigi Zingales of the University of Chicago's Booth School of Business talk with EconTalk host Russ Roberts about these questions and more in front of a live audience at Stanford University's Hoover Institution. Psychologist Paul Bloom of Yale University talks about his book Against Empathy with EconTalk host Russ Roberts. Bloom argues that empathy--the ability to feel the emotions of others--is a bad guide to charitable giving and public policy. Bloom argues that reason combined with compassion is a better and more effective guide to making the world a better place. When fighting the war on drugs, governments typically devote enormous resources trying to reduce the supply. But is this effective? Journalist and author Tom Wainwright of the Economist and author of Narconomics talks with EconTalk host Russ Roberts about the ways that the drug cartels respond to government attempts to reduce the availability of drugs. Like any business trying to maintain profitability, cartels look for ways to cut costs and maintain or grow revenue. Wainwright uses extensive on-the-ground interviews and reporting to understand the behavior of the cartels and argues that reducing demand would be a much more effective strategy for reducing drug use. Writer, reporter, and film producer Jim Epstein talks with EconTalk host Russ Roberts about mining Bitcoins in Venezuela as a way to import food. Venezuela is a tragicomic example of how policy can lead to strange and presumably unexpected outcomes. Epstein also discusses how Bitcoin is being used elsewhere in Latin America and the potential for the blockchain technology to lower the costs of owning and transferring property. Sugar appears to have no nutritional value. But is it more than just empty calories? Is it actually bad for us? Author and journalist Gary Taubes talks with EconTalk host Russ Roberts about his latest book, The Case Against Sugar. Taubes argues that there is substantial circumstantial evidence suggesting that sugar is the underlying cause of a host of modern health problems including diabetes, heart disease, and obesity. Taubes concedes the evidence is not iron-clad or definitive and reflects along the way on the intellectual and personal challenges of holding a strong view in the face of significant skepticism. How did heroin spread beyond big cities in America? What's the connection between heroin and America's opioid problem? Sam Quinones, author of Dreamland, talks with EconTalk host Russ Roberts about the explosion in heroin use and how one small Mexican town changed how heroin was produced and sold in America. That in turn became entangled with the growth in the use of pain-killers as recreational drugs. Drawing on the investigative reporting that culminated in his book, Quinones lays out the recent history and economics of the growth in heroin and pain-killer usage and the lost lives along the way. Michael Munger of Duke University talks with EconTalk host Russ Roberts about the virtues and negatives of a basic guaranteed income--giving every American adult an annual amount of money to guarantee a subsistence level of well-being. How would such a plan work? How would it interact with current anti-poverty programs? How would it affect recipients and taxpayers? Munger attacks these issues and more in a lively conversation with Roberts. Economist Robert Hall of Stanford University talks with EconTalk host Russ Roberts about the current state of the U.S. economy and what we know and don't know about the recovery from the Great Recession. Much of the conversation focuses on the choices facing the Federal Reserve and the policy instruments the Fed has available. The conversation includes a discussion of Hall's experience as chair of the National Bureau of Economic Research Committee on Business Cycle Dating. Economist and author Mark Warshawsky of George Mason Univerity's Mercatus Center talks with EconTalk host Russ Roberts about his work on the role health care benefits play in measuring inequality. Using data from the Bureau of Labor Statistics, Warshawsky shows that because health care benefits are a larger share of compensation for lower-paid than higher-paid workers, measures of inequality and even measures of economic progress can be misleading or distorted. The conversation covers a wide range of topics related to how the labor market treats workers and the role of benefits in setting overall compensation. If you were a poor person in a poor country, would you prefer steady work in a factory or to be your own boss, buying and selling in the local market? Economist Chris Blattman of the University of Chicago talks with EconTalk host Russ Roberts about experimental evidence on how poor people choose in the labor market and the consequences for their income, health, and satisfaction. Were the first professional economists racists? Thomas Leonard of Princeton University and author of Illiberal Reformers talks with EconTalk host Russ Roberts about his book--a portrait of the progressive movement and its early advocates at the end of the 19th century and the beginning of the 20th. The economists of that time were eager to champion the power of the state and its ability to regulate capitalism successfully. Leonard exposes the racist origins of these ideas and the role eugenics played in the early days of professional economics. Woodrow Wilson takes a beating as well. Doug Lemov of Uncommon School and co-author of Reading Reconsidered talks with EconTalk host Russ Roberts about reading. Lemov makes the case for the educational importance of critical reading of challenging books and texts. Along the way, he gives listeners some ideas of how to read themselves and gives parents some ideas for how to educate their children. Erik Hurst of the University of Chicago talks with EconTalk host Russ Roberts about the state of the labor market in the United States. Hurst notes dramatic changes in employment rates for men and speculates about the causes. Two factors discussed in detail are declines in the manufacturing sector and the rise of high-end video games as a form of leisure. Tim Harford, journalist and author, talks with EconTalk host Russ Roberts about his latest book, Messy. Harford argues that we have a weakness for order and neat solutions causing us to miss opportunities to find happiness or success with messier, more disorderly processes and solutions. Hartford looks at a wide range of examples from business and personal life making the case that tidiness is overrated and that messy should get more love. David Gelernter, professor of computer science at Yale University and author of The Tides of Mind, talks with EconTalk host Russ Roberts about consciousness and how our minds evolve through the course of the day and as we grow up. Other topics discussed include creativity, artificial intelligence, and the singularity. Judith Donath, author of The Social Machine, talks with EconTalk host Russ Roberts about the ideas in her book--an examination of signaling, online identity, and online community. Donath argues that design elements in technology play a key role in our interactions with one another. The conversation closes with a discussion of data collection by corporations and the government. Casey Mulligan of the University of Chicago talks with EconTalk host Russ Roberts about life in Cuba. Mulligan, who recently returned from a trip to Cuba, discusses the economy, the standard of living and some of the peculiarities of communist control. Chris Arnade, former Wall Street trader turned photographer and social chronicler, talks with EconTalk host Russ Roberts about what he learned from the front lines of the financial industry in the 1990s and 2000s when everything slowly and then very quickly began to fall apart. He also discusses his transition into observer and photographer of drug addicts, the poor, and the forgotten parts of America. Nobel Laureate in Economics Angus Deaton of Princeton University talks with EconTalk host Russ Roberts about the economics of trade and aid. Deaton wonders if economists should re-think the widely-held view that redistribution from rich nations to poor nations makes the world a better place. The conversation focuses on the challenges facing poor Americans including the rising mortality rate for white Americans ages 45-54. Cathy O'Neil, data scientist and author of Weapons of Math Destruction talks with EconTalk host Russ Roberts about the ideas in her book. O'Neil argues that the commercial application of big data often harms individuals in unknown ways. She argues that the poor are particularly vulnerable to exploitation. Examples discussed include prison sentencing, college rankings, evaluations of teachers, and targeted advertising. O'Neil argues for more transparency and ethical standards when using data. How are those in favor of bigger government and those who want smaller government like a couple stuck in a bad marriage? Economist John Cochrane of Stanford University's Hoover Institution talks with EconTalk host Russ Roberts about how to take a different approach to the standard policy arguments. Cochrane wants to get away from the stale big government/small government arguments which he likens to a couple who have gotten stuck in a rut making the same ineffective arguments over and over. Cochrane argues for a fresh approach to economic policy including applications to growth, taxes and financial regulation. What does an x-ray of Hitler's skull have in common with a jar of Ronald Reagan's jelly beans? They are both part of the Hoover Institution archives. Eric Wakin, Director of the Library and Archives of the Hoover Institution at Stanford University talks with EconTalk host Russ Roberts about what it's like to be an archivist and the importance of archival materials for research, culture, and memory. Can machine learning improve the use of data and evidence for understanding economics and public policy? Susan Athey of Stanford University talks with EconTalk host Russ Roberts about how machine learning can be used in conjunction with traditional econometric techniques to measure the impact of say, the minimum wage or the effectiveness of a new drug. The last part of the conversation looks at the experimental techniques being used by firms like Google and Amazon. Are there many Americans today who wish the President of the United States had more power relative to the other branches of Congress? Terry Moe is one of them. In this week's EconTalk episode, Moe--a professor of political science at Stanford University and a senior fellow at the Hoover Institution--talks with EconTalk host Russ Roberts about his new book (co-authored with William Howell), Relic. Moe wants to give the President the power to propose legislation that Congress would have to approve or reject free of amendments. Moe argues this would improve legislation and reduce the cronyism and special interest influence on Congress. Leo Katz, professor of law at the University of Pennsylvania, talks with EconTalk host Russ Roberts about his book, Why the Law Is So Perverse. Katz argues that certain seemingly inexplicable features of the law are the result of conflicts between multiple objectives that the law or the courts must trade off against each other. Katz also argues that structure of the law and how it is enforced are analogous to certain inevitable ambiguities of collective choice and voting theory. Chuck Klosterman, author of But What If We're Wrong, talks with EconTalk host Russ Roberts about the possibility that things we hold to be undeniably true may turn out to be totally false in the future. This wide-ranging conversation covers music and literary reputations, fundamentals of science, and issues of self-deception and illusion. Adam D'Angelo, CEO of the question and answer website, Quora, talks with EconTalk host Russ Roberts about the history, evolution, and challenges of Quora. Along the way they discuss the aggregation of knowledge and the power of experiments for improving the day-to-day performance of the site. Fifty years ago, many of the best players in the National Football League took jobs in the off-season to augment the salaries they earned playing football. Matthew Futterman of the Wall Street Journal and author of Players talks with EconTalk host Russ Roberts about how much football and so many aspects of sports--from tennis to golf to apparel to broadcasting to Olympics--has become incredibly more lucrative. Futterman shares the insights from his book and how all that money has changed sports, the athletes who compete, and the fans who watch. How important is grit relative to talent? Can grit be taught? Angela Duckworth of the University of Pennsylvania and author of Grit: The Power of Passion and Perseverance talks with with EconTalk host Russ Roberts about the nature of success in work, play and life. How much does grit matter? Is grit malleable or something we're born with? Duckworth discusses her research on these questions and how to think about what it means for a child and an adult to thrive. How does our attitude toward ourselves affect our success or failure in the world of business or in friendship? Ryan Holiday, author of Ego Is the Enemy, talks with Econtalk host Russ Roberts about the role of ego in business, our personal lives, and world history. Technology and innovation usually mean higher quality and lower prices. Is health care different? Jonathan Skinner of Dartmouth College talks with EconTalk host Russ Roberts about how technology and innovation affect the cost and efficacy of health care. The conversation concludes with a discussion of the rise in mortality among middle-age white males--a surprising reversal of trend--that has been linked to use of opioid painkillers. Yuval Levin, author and editor of National Affairs, talks with EconTalk host Russ Roberts about the ideas in his latest book, The Fractured Republic. Levin argues that both major political parties suffer from a misplaced nostalgia--a yearning for a time when things were better even though the policies that created those good times are no longer as relevant to today. Levin argues for a strengthening of the intermediate institutions--institutions between the individual and the government such as religious communities and other non-profits as a way toward a better life for Americans. How should we feel about cruise lines that offer special amenities for top-paying travelers, or first-class sections of airplanes? Do such consumption inequalities harm the social fabric or is there more to the story? Richard Epstein of New York University and the Hoover Institution talks with EconTalk host Russ Roberts about these issues arguing that these kinds of unequal treatment provide benefits beyond those who receive the top-of-the-line option. The conversation then moves on to a general discussion of inequality, taxation, and redistribution. Futurist, author, and visionary Kevin Kelly talks with EconTalk host Russ Roberts about his latest book, The Inevitable, Kelly's look at what the future might be like and the role of the human experience in a world increasingly filled with information, artificial intelligence, virtual reality, and the connecting of the planet's population. You might think your tweets on Twitter belong to you. But in 2010, the Library of Congress acquired the entire archive of Twitter. Why would such a majestic library acquire such seemingly ephemeral material? Historian Abby Smith Rumsey, author of When We Are No More, talks with EconTalk host Russ Roberts about this decision of the Library of Congress and the general challenge of how to cope with a world when so much of what we write and read is digital. Subjects discussed include what we can learn from the past, the power of collective memory, what is worth saving, and how we might archive our electronic lives so that we and those who come after us can find what we might be looking for. Jason Zweig of the Wall Street Journal and author of The Devil's Financial Dictionary talks with EconTalk host Russ Roberts about finance, financial journalism and Zweig's new book. Zweig discusses rationality and the investor's challenge of self-restraint, the repetitive nature of financial journalism, and the financial crisis of 2008. Was the Financial Crisis of 2008 caused by a crisis in the housing market? Or did the Federal Reserve turn a garden-variety recession into the Great Recession? David Beckworth of Western Kentucky University talks with EconTalk host Russ Roberts about the Fed's response to the recession that began in December of 2007 and worsened in 2008. Beckworth argues that the Fed failed to respond adequately to the drop in nominal GDP by keeping interest rates too high for too long. Beckworth describes what he thinks the Fed should have done and the lessons we should learn going forward to reduce the severity of future downturns. Are workers being left behind when the economy grows? Is technology making the human workforce obsolete? James Bessen, author of Learning by Doing, talks with EconTalk host Russ Roberts about the role of learning on the job in the past and in the present. Bessen argues that during times of technological innovation, it often takes years before workers see higher wages from productivity increases. Bessen stresses the importance of the standardization of education on the job as workers adapt to new technology. Should the United States allow its citizens to buy oil from countries run by bad men? Is this a case where morality trumps the usual case for free trade? Leif Wenar, professor of philosophy at King's College, London and author of Blood Oil, talks with EconTalk host Russ Roberts about the morality of buying resources from countries that use the resulting revenue to oppress their citizens. Based on the ideas in his book, Wenar argues that in many cases, importing oil is equivalent to buying stolen goods where the low prices cannot justify the purchase. The conversation discusses the possible outcomes from banning foreign oil from tyrannical regimes along with the resource curse and the case for fair trade. What is machine learning? How is it transforming our lives and workplaces? What might the future hold? Pedro Domingos of the University of Washington and author of The Master Algorithm talks with EconTalk host Russ Roberts about the present and future of machine learning. Domingos stresses the iterative and ever-improving nature of machine learning. He is fundamentally an optimist about the potential of machine learning with ever-larger amounts of data to transform the human experience. Arnold Kling, economist and author, speaks with EconTalk host Russ Roberts about his latest book, Specialization and Trade: A Reintroduction to Economics. Kling argues that macroeconomics ignores the challenges of buyers and sellers working together in the real world of specialization and trade. Instead, most macroeconomic theories struggle to incorporate the differences across workers and products. Kling points the listener toward a different perspective on macroeconomics and the business cycle that focuses on those differences. Kling also lays out related insights on political economy as well as his take on G.A. Cohen's parable of the camping trip. Alberto Alesina of Harvard University talks with EconTalk host Russ Roberts about his research on fiscal policy and austerity. Alesina's research shows that spending cuts to reduce budget deficits are less harmful than tax increases. Alesina discusses the intuition behind this empirical finding and discusses other issues such as Greece's financial situation. Gary Belsky, co-author of On the Origins of Sports and former editor-in-chief of ESPN the Magazine, talks with EconTalk host Russ Roberts about the origins of sports--how various sports evolved and emerged into their current incarnations. Along the way he discusses the popularity of American football, the written (and unwritten) rules of sports, and the focus on replay and fairness in modern sports. Is your success in life your own doing? Robert Frank of Cornell University talks with EconTalk host Russ Roberts about his latest book, Success and Luck. Frank argues that we underestimate the role that luck plays in our success and makes the case for a progressive consumption tax as a way to improve even the welfare of the wealthy. Will our brains ever be uploaded into a computer? Will we live forever? Richard Jones, physicist at the University of Sheffield and author of Against Transhumanism, talks with EconTalk host Russ Roberts about transhumanism--the effort to radically transform human existence via technology. Jones argues that the grandest visions of the potential of technology--uploading of brains and the ability to rearrange matter via nanotechnology are much more limited and unlikely than proponents of these technologies suggest. The conversation closes with the role of government in innovation and developing technology. How bad is pink slime? Are free-range chickens happier? Can robots cook? Jayson Lusk of Oklahoma State University and the author of Unnaturally Delicious talks with EconTalk host Russ Roberts about these questions and more from his new book. Lusk explores the wide-ranging application of technology to farming, cooking, protein production, and more. Why would anyone want to hire a middleman, like a wedding planner, especially if you have time to take care of the planning yourself? Marina Krakovsky, author of The Middleman Economy talks with EconTalk host Russ Roberts about middlemen in the modern economy. Despite predictions that the internet would destroy the need for middlemen, Krakovsky argues they're more valuable than ever though their roles have changed. Krakovsky looks at the different roles middlemen play today and how their value added can justify their existence. David Autor of MIT talks with EconTalk host Russ Roberts about the fundamentals of trade and his research on the impact on workers and communities from trade with China. Autor's research finds large and persistent effects on manufacturing jobs and communities where those jobs once were. Autor and Roberts discuss whether these results capture the full impact of increased trade with China and what the policy response might be that could help workers hurt by trade. Will Davies of Goldsmith's, University of London and author of The Limits of Neoliberalism talks with EconTalk host Russ Roberts about the ideas in his book. Davies argues that the free-market vision of economists like Milton Friedman and Friedrich Hayek has de-romanticized politics and ensconced competition at the heart of our economy and culture. Davies argues for the value of a completely different perspective and pushes for a reduction in the influence and status of economists as policymakers and influencers. Along the way he gives his perspective on the role of economists in the financial crisis and in antitrust policy. Why do so many medical practices that begin with such promise and confidence turn out to be either ineffective at best or harmful at worst? Adam Cifu of the University of Chicago's School of Medicine and co-author (with Vinayak Prasad) of Ending Medical Reversal explores this question with EconTalk host Russ Roberts. Cifu shows that medical reversal--the discovery that prescribed medical practices are ineffective or harmful--is distressingly common. He contrasts the different types of evidence that support or discourage various medical practices and discusses the cultural challenges doctors face in turning away from techniques they have used for many years. Adam Ozimek of Moody's Analytics and blogger at Forbes talks with EconTalk host Russ Roberts about why economists change their minds or don't. Ozimek argues that economists make erratic but steady progress using econometrics and other forms of evidence to understand the impact of public policies such as the minimum wage or government stimulus. Roberts pushes back and discusses the role of ideology, the complexity of where our views come from and the potential for confirmation bias. Timothy Taylor, blogger at the Conversable Economist and editor of the Journal of Economic Perspectives talks with EconTalk host Russ Roberts about the role of government and business in taking care of workers and creating economic growth. Taylor discusses the paradox that the political process seems to expect firms to take care of workers and government to create growth. The conversation then turns to a wide array of related issues including how Wal-Mart treats its workers. The conversation closes with a discussion of Taylor's role as founding editor of the Journal of Economic Perspectives. Nobel Laureate James Heckman of the University of Chicago talks with EconTalk host Russ Roberts about the state of econometrics and the challenges of measurement in assessing economic theories and public policy. Heckman gives us his take on natural experiments, selection bias, randomized control trials and the reliability of sophisticated statistical analysis. The conversation closes with Heckman reminiscing about his intellectual influences throughout his career. How many pairs of sneakers do you own? Josh Luber of Campless and StockX talks with EconTalk host Russ Roberts about the world of sneakerheads--people passionate for collecting and trading sneakers. Each week people line up to buy classic sneaker models Nike re-releases. Luber has collected millions of transactions from Ebay on these sneakers and others and has analyzed the return to investing in various sneaker models. The conversation includes a discussion of how Nike has helped to create this market and Luber's work creating a stock market for sneakers and other goods. When does the pursuit of safety lead us into danger? Greg Ip, of the Wall Street Journal and author of Foolproof talks with EconTalk host Russ Roberts about the ideas in his book--the way we publicly and privately try to cope with risk and danger and how those choices can create unintended consequences. While much of the conversation focuses on the financial crisis of 2008, there are also discussions of football injuries, damage from natural disasters such as hurricanes, car accidents, and Herbert Hoover. Along the way, Herman Melville's insights into the mesmerizing nature of water make an appearance. How can you learn to think like an economist? One way is to think about what might be called dinner table economics--puzzles or patterns that arise in everyday life that would be good to understand. Robert Frank of Cornell University and author of The Economic Naturalist talks with EconTalk host Russ Roberts about a number of these puzzles including why grooms typically rent tuxedos but the bride usually buys her gown, why bicycles can be more expensive to rent than cars, the effects of the price of corn on the price of pork, and why scammers who invoke Nigeria keep using the same old story. Noah Smith of Stony Brook University and writer at Bloomberg View talks with EconTalk host Russ Roberts about whether economics is a science in some sense of that word. How reliable are experiments in economics? What about the statistical analysis that underlies much of the empirical work in modern economics? Additional topics include the reliability of the empirical analysis of the minimum wage, the state of macroeconomics, and the role of prejudice or prior beliefs in the interpretation of data and evidence. Can you predict the future? Or at least gauge the probability of political or economic events in the near future? Philip Tetlock of the University of Pennsylvania and author of Superforecasting talks with EconTalk host Russ Roberts about his work on assessing probabilities with teams of thoughtful amateurs. Tetlock finds that teams of amateurs trained in gathering information and thinking about it systematically outperformed experts in assigning probabilities of various events in a competition organized by IARPA, research agency under the Director of National Intelligence. In this conversation, Tetlock discusses the meaning, reliability, and usefulness of trying to assign probabilities to one-time events. Did Ben Bernanke and the Fed save the U.S. economy from disaster in 2008 or did the Fed make things worse? Why did the Fed reward banks that kept reserves rather than releasing funds into the economy? George Selgin of the Cato Institute tries to answer these questions and more in this conversation with EconTalk host Russ Roberts. Selgin argues that the Fed made critical mistakes both before and after the collapse of Lehman Brothers by lending to insolvent banks as well as by paying interest on reserves held at the Fed by member banks. If you have 250 million tons of food to give away every year to local food banks how should you do it? Canice Prendergast of the University of Chicago's Booth School of Business talks with EconTalk host Russ Roberts about how he and a team of economists created an artificial currency and a daily auction for the national food bank Feeding America so that local food banks could bid on the types of food that were the most valuable to them. Prendergast explains the results of the new system and the cultural and practical challenges of bringing prices, even artificial ones, to a world accustomed to giving things away. Are we on the verge of driverless cars and other forms of autonomous robots and artificial intelligence? David Mindell of MIT and the author of Our Robots, Ourselves talks with EconTalk host Russ Roberts about the robotic revolution. Mindell argues that much of the optimism for autonomous robots ignores decades of experience with semi-autonomous robots in deep-sea operation, space, air, and the military. In all of these areas, the role of human supervision remains at a high level with little full autonomy. Mindell traces some of the history of the human interaction with robots and artificial intelligence and speculates on what the future might hold. Michael Munger of Duke University makes his 29th appearance on the 500th episode of EconTalk alongside EconTalk host Russ Roberts. He talks about his personal intellectual journey, his interest in public choice, and Unicorn economics. Other topics include the origins of EconTalk, Roberts's intellectual roots, and the EconTalk theme music. The conversation closes with a brief reprise of a few highlights from past Munger appearances on EconTalk. Brian Nosek of the University of Virginia and the Center for Open Science talks with EconTalk host Russ Roberts about the Reproducibility Project--an effort to reproduce the findings of 100 articles in three top psychology journals. Nosek talks about the findings and the implications for academic publishing and the reliability of published results. Should women get routine mammograms? Should men get regular PSA exams? Robert Aronowitz of the University of Pennsylvania and the author of Risky Medicine talks with EconTalk host Russ Roberts about the increasing focus on risk reduction rather than health itself as a goal. Aronowitz discusses the social and political forces that push us toward more preventive testing even when those tests have not been shown to be effective. Aronowitz's perspective is a provocative look at the opportunity cost of risk-reduction. Michael Matheson Miller of the Acton Institute and the Director of the documentary Poverty, Inc., talks with EconTalk host Russ Roberts about his award-winning documentary on the barriers facing the poor around the world. Topics discussed include the incentives facing poverty-fighting NGOs and their staff, the importance of secure and well-defined property rights, and the costs and benefits of agricultural aid. Cesar Hidalgo of MIT and the author of Why Information Grows talks with EconTalk host Russ Roberts about the growth of knowledge and know-how in the modern economy. Hidalgo emphasizes the importance of networks among innovators and creators and the role of trust in sustaining those networks. Yuval Harari of Hebrew University and author of Sapiens talks with EconTalk host Russ Roberts about the history of humanity. Topics discussed include the move from hunting and gathering to agriculture, the role of fiction in sustaining imagination, the nature of money, the impact of empires and the synergies between empires and science. Pete Boettke of George Mason University talks with EconTalk host Russ Roberts about the political and economic lessons he has learned as program director of research in the aftermath of Hurricane Katrina. In this wide-ranging conversation, Boettke discusses the role of civil society, the barriers to recovery that have hampered New Orleans and what worked well as people and institutions responded to tragedy and devastation. Tim O'Reilly of O'Reilly Media talks with EconTalk host Russ Roberts about his career in technology and media and the challenges facing low-wage workers as technology advances. Topics include the early days of the Internet, the efficacy of regulation to protect workers, and the poetry of Elizabeth Bishop. When Lewis and Clark crossed through Montana, they encountered an extraordinary cornucopia of wildlife. Most of that ecosystem and the animals that once thrived there are gone. But a non-profit wants to bring it all back. Pete Geddes, Managing Director of the American Prairie Reserve talks with EconTalk host Russ Roberts about creating the Serengeti of the Americas--a 3.3 million acre prairie that would allow bison, pronghorn antelope, prairie dogs and their friends to inhabit a Wildlife Reserve in Montana, the size of Connecticut. Geddes discusses the goals of the American Prairie Reserve and how they're using a for-profit company, Wild Sky Beef, to gather support and help from local ranchers for the project. There is only one country in the world where a person can sell a kidney to another citizen who buys it. That country is Iran. Tina Rosenberg of The New York Times talks with EconTalk host Russ Roberts about the Iranian kidney market--how it works, its strengths and weaknesses, and whether its lessons apply to the United States or elsewhere. Ever wonder what goes on behind the scenes at a Broadway show? This week's EconTalk lifts the curtain on the magical world of Broadway: Mitch Weiss, co-author of The Business of Broadway, talks with EconTalk host Russ Roberts about his book and what it's like to manage the production of a blockbuster musical in New York City. Topics discussed include the eight-performance-per-week grind, the how and why of creating a Broadway set, the challenges of wardrobes (domestic and international) and the pluses and minuses of unions which are a central part of the Broadway workplace. How much care do you take when you make a donation to a charity? What careers make the biggest difference when it comes to helping others? William MacAskill of Oxford University and the author of Doing Good Better talks with EconTalk host Russ Roberts about the book and the idea of effective altruism. MacAskill urges donors to spend their money more effectively and argues that the impact on human well-being can be immense. MacAskill wants donors to rely on scientific assessments of effectiveness. Roberts pushes back on the reliability of such assessments. Other topics include sweatshops, choosing a career to have the biggest impact on others, and the interaction between private philanthropy and political action. Are human beings naturally cooperative or selfish? Can people thrive without government law? Paul Robinson of the University of Pennsylvania and author of Pirates, Prisoners and Lepers talks with EconTalk host Russ Roberts the ideas in his book. Robinson argues that without government sanctions or legislation, there is an evolutionary drive to cooperate even in life-and-death situations. In such situations private punishment and norms play a crucial role in sustaining cooperative solutions. The last part of the conversation deals with the criminal justice system and how attitudes toward the system affect society-wide cooperation and crime. Thousands of bears in New Jersey. Humpback whales near New York City. Acres devoted to farming stable or declining even as food production soars. Jesse Ausubel of the Rockefeller University talks with EconTalk host Russ Roberts about the return of nature. Ausubel shows how technology has reduced many of the dimensions of the human footprint even as population rises and why this trend is likely to continue into the future. The conversation concludes with Ausubel's cautious optimism about the impact of climate change. Rachel Laudan, visiting scholar at the University of Texas and author of Cuisine and Empire, talks with EconTalk host Russ Roberts about the history of food. Topics covered include the importance of grain, the spread of various styles of cooking, why French cooking has elite status, and the reach of McDonald's. The conversation concludes with a discussion of the appeal of local food and other recent food passions. Summer Brennan, author of The Oyster War, talks with EconTalk host Russ Roberts about her book and the fight between the Drakes Bay Oyster Company and the federal government over farming oysters in the Point Reyes National Seashore. Along the way they discuss the economics of oyster farming, the nature of wilderness, and the challenge of land use in national parks and seashores. Seafood is highly perishable and supply is often uncertain. Roger Berkowitz, CEO of Legal Sea Foods talks with EconTalk host Russ Roberts about the challenges of running 34 seafood restaurants up and down the east coast. Berkowitz draws on his 22 year tenure as CEO and discusses how his business works day-to-day and the question of sustainability. How important are basic skills for economic success and growth? Eric Hanushek of Stanford University's Hoover Institution talks with EconTalk host Russ Roberts about the importance of basic education in math and literacy and their relationship to economic growth. Hanushek argues that excellence in educating people in basic skills leads to economic growth, especially in poorer countries where years of education may be a poor proxy for learning. He argues that the U.N.'s Millennium Development Goals should emphasize outputs rather than inputs--performance on skill-based exams rather than years of education. Nobel Laureate Alvin Roth of Stanford University talks with EconTalk host Russ Roberts about his work on matching markets. Examples include marriage, matching kidney donors to kidney recipients, and students to schools in cities that allow choice in their public school systems. Roth also discusses repugnance--the unease some people have with allowing buying and selling of some goods and what it's like to watch a kidney transplant knowing your research has helped make the surgery possible. Science writer and author Matt Ridley discusses climate change with EconTalk host Russ Roberts. Based on his reading of the scientific evidence, Ridley describes himself as a "lukewarmer." While Ridley agrees that humans have made the climate warmer, he argues that the impact is small or positive over some temperature ranges and regions. He rejects the catastrophic scenarios that some say are sufficiently likely to justify dramatic policy responses, and he reflects on the challenges of staking out an unpopular position on a contentious policy issue. Morten Jerven of Simon Frasier University talks with EconTalk host Russ Roberts about his new book, Africa: Why Economists Get It Wrong. Jerven, who will be joining Noragric at the Norwegian University of Life Sciences this fall, argues that economists have misread the economic history of Africa, ignoring successful episodes of economic growth while trying to explain a perpetual malaise that does not exist. Jerven is critical of many of the attempts to explain growth using econometric techniques and suggests that a richer approach is necessary that is aware of the particular circumstances facing poor countries. What's it like to hang out with Brad Pitt, Christian Bale, Ryan Gosling, and Steve Carell for two months? Adam Davidson, who writes for the New York Times Sunday Magazine, was the technical advisor to the upcoming movie, The Big Short. Besides rubbing shoulders with celebrities, he noticed what he calls the Hollywood model where highly talented workers come together temporarily in project-based employment. Davidson discusses the costs and benefits of this approach and its potential emergence as a more common phenomenon throughout the economy. Nathaniel Popper of the New York Times and the author of Digital Gold talks with EconTalk host Russ Roberts about Bitcoin. Can Bitcoin make it? What went wrong with Mt. Gox? Why did Ross Ulbricht, the creator of Silk Road, just get sentenced to life in prison? Why are venture capital firms pouring millions of dollars into companies promising easier ways to use Bitcoin? Popper discusses these questions along with the technical side of Bitcoin to help listeners understand why so many investors are excited about the potential of Bitcoin. Is climate change the ultimate Black Swan? Martin Weitzman of Harvard University and co-author of Climate Shock talks with EconTalk host Russ Roberts about the risks of climate change. Weitzman argues that climate change is a fat-tailed phenomenon--there is a non-trivial risk of a catastrophe. Though Weitzman concedes that our knowledge of the climate is quite incomplete, he suggests that it is prudent to take serious measures, including possibly geo-engineering, to reduce the accumulation of carbon dioxide in the atmosphere. Bent Flyvbjerg of Oxford University speaks with EconTalk host Russ Roberts about the political economy of megaprojects--massive investments of a billion dollars or more in infrastructure or technology. Flyvbjerg argues that such projects consistently end up costing more with smaller benefits than projected and almost always end up with costs that exceed the benefits. Flyvbjerg explores the reasons for the poor predictions and poor performance of giant investment projects and what might be done to improve their effectiveness. Did an 800-year old piece of parchment really change the world? Nicholas Vincent of the University of East Anglia talks with EconTalk host Russ Roberts about the Magna Carta, the founding document of English law and liberty. The Magna Carta was repudiated just ten weeks after King John issued it. Yet, its impact is still with us today. In this conversation, Vincent explains what led to the Magna Carta and how its influence remains with us today in England and elsewhere. We're in the middle of a healthcare revolution but it's about more than marvelous life-saving and life-enhancing apps on our smartphone. Eric Topol of the Scripps Translational Science Institute and author of The Patient Will See You Now argues that the digital revolution will give us more control of our health information and data. More powerful patients will transform the doctor-patient interaction. Topol talks with EconTalk host Russ Roberts about his new book giving us a glimpse of the changes coming to medicine from the digital revolution. Michael O'Hare of the University of California, Berkeley talks with EconTalk host Russ Roberts about the management of art museums. O'Hare suggests a number of changes that would allow museums to be more effective and to justify their non-profit status--lower admission prices, selling part of their substantial unseen inventory to other museums, and broadening the activities of the museum to include educational exhibits on the creation of art and the commercial side of art. He encourages trustees of museums to see their job more as tough-minded advisors and less as financiers of museum budgets. Leonard Wong of the Strategic Studies Institute at the U.S. Army War College talks with EconTalk host Russ Roberts about honesty in the military. Based on a recent co-authored paper, Wong argues that the paperwork and training burden on U.S. military officers requires dishonesty--it is simply impossible to comply with all the requirements. This creates a tension for an institution that prides itself on honesty, trust, and integrity. The conversation closes with suggestions for how the military might reform the compliance and requirement process. Scott Sumner, of Bentley University talks with EconTalk host Russ Roberts about interest rates. Sumner suggests that professional economists sometimes confuse cause and effect with respect to prices and quantities. Low interest rates need not encourage investment for example, if interest rates are low because of a decrease in demand. Sumner also talk about possible explanations for the historically low real rates of interest in today's economy along with other aspects of monetary policy, interest rates, and investment. Phil Rosenzweig, professor of strategy and international business at IMD in Switzerland and author of the book Left Brain, Right Stuff: How Leaders Make Winning Decisions talks with EconTalk host Russ Roberts about his book. The focus of the conversation is on the lessons from behavioral economics--when do those lessons inform and when do they mislead when applied to real-world business decisions. Topics discussed include overconfidence, transparency, the winner's curse, evaluating leaders, and the role of experimental findings in thinking about decision-making. Vernon Smith and James Otteson talk with EconTalk host Russ Roberts about Adam Smith in front of a live audience at Ball State University. Topics discussed include Smith's view of human nature, the relevance of Smith for philosophy and economics today, and the connection between Smith's two books, The Theory of Moral Sentiments and The Wealth of Nations. David Skarbek of King's College London and author of The Social Order of the Underworld: How Prison Gangs Govern The American Penal System talks with EconTalk host Russ Roberts about the written and unwritten rules in America's prisons for the most violent and dangerous criminals. Skarbek explains how and why prison gangs emerged in the last half of the 20th century, their influence both inside and outside of prisons, and how their governance structure is maintained. Campbell Harvey of Duke University talks with EconTalk host Russ Roberts about his research evaluating various investment and trading strategies and the challenge of measuring their effectiveness. Topics discussed include skill vs. luck, self-deception, the measures of statistical significance, skewness in investment returns, and the potential of big data. Paul Romer of New York University talks with EconTalk host Russ Roberts about reforming cities to allow growth and human flourishing. Topics discussed include charter cities, the role of population density in city life, driverless cars, and various ways to help the poorest people in the world. Lawrence H. White of George Mason University talks with EconTalk host Russ Roberts about the possibility of a monetary constitution. Based on a new book, Renewing the Search for a Monetary Constitution, White explores different constitutional constraints that might be put on the government's role in money and monetary policy. Topics discussed include cryptocurrencies, the gold standard, the Taylor Rule, the performance of the Fed, free banking, and private currency. David Zetland of Leiden University College in the Netherlands and author of Living with Water Scarcity talks with EconTalk host Russ Roberts about the challenges of water management. Issues covered include the sustainability of water supplies, the affordability of water for the poor, the incentives water companies face, and the management of water systems in the poorest countries. Also discussed are the diamond and water paradox, campaigns to reduce water usage, and the role of prices in managing a water system. Benn Steil of the Council on Foreign Relations and author of The Battle of Bretton Woods: John Maynard Keynes, Harry Dexter White, and the Making of a New World Order talks with EconTalk host Russ Roberts about Bretton Woods, the conference that resulted in the IMF, the World Bank, and the post-war international monetary system. Topics discussed include America and Britain's conflicting interests during and after World War II, the relative instability of the post-war system, and the personalities and egos of the individuals at Bretton Woods, including John Maynard Keynes and Harry Dexter White. Daniel Sumner of the University of California talks with EconTalk host Russ Roberts about agricultural subsidies in the United States, the winners and losers from those subsidies, and how the structure of subsidies has changed from the New Deal to the present. Sumner also explains how American policies have affected foreign farmers. Luigi Zingales of the University of Chicago talks with EconTalk host Russ Roberts on whether the financial sector is good for society and about the gap between how banks and bankers are perceived by the public vs. finance professors. Zingales discusses the costs and benefits of financial innovation, compares the finance sector to the health sector, and suggests how business education should talk about finance to create better behavior. Alex Tabarrok of George Mason University talks to EconTalk host Russ Roberts about a recent paper Tabarrok co-authored with Shruti Rajagopalan on Gurgaon, a city in India that until recently had little or no municipal government. The two discuss the successes and failures of this private city, the tendency to romanticize the outcomes of market and government action, and the potential for private cities to meet growing demand for urban living in India and China. Nassim Nicholas Taleb, author of Antifragile, Black Swan, and Fooled by Randomness, talks with EconTalk host Russ Roberts about a recent co-authored paper on the risks of genetically modified organisms (GMOs) and the use of the Precautionary Principle. Taleb contrasts harm with ruin and explains how the differences imply different rules of behavior when dealing with the risk of each. Taleb argues that when considering the riskiness of GMOs, the right understanding of statistics is more valuable than expertise in biology or genetics. The central issue that pervades the conversation is how to cope with a small non-negligible risk of catastrophe. Greg Page, former CEO of Cargill, the largest privately-held company in America, talks to EconTalk host Russ Roberts about the global food supply and the challenges of running a company with employees and activity all over the world. Page talks about the role of prices in global food markets in signaling information and prompting changes in response to those signals. Other topics include government's role in agriculture, the locavore movement and genetically modified organisms (GMOs). Joshua Greene, of Harvard University and author of Moral Tribes: Emotion, Reason, and the Gap Between Us and Them, talks with EconTalk host Russ Roberts about morality and the challenges we face when our morality conflicts with that of others. Topics discussed include the difference between what Greene calls automatic thinking and manual thinking, the moral dilemma known as "the trolley problem," and the difficulties of identifying and solving problems in a society that has a plurality of values. Greene defends utilitarianism as a way of adjudicating moral differences.